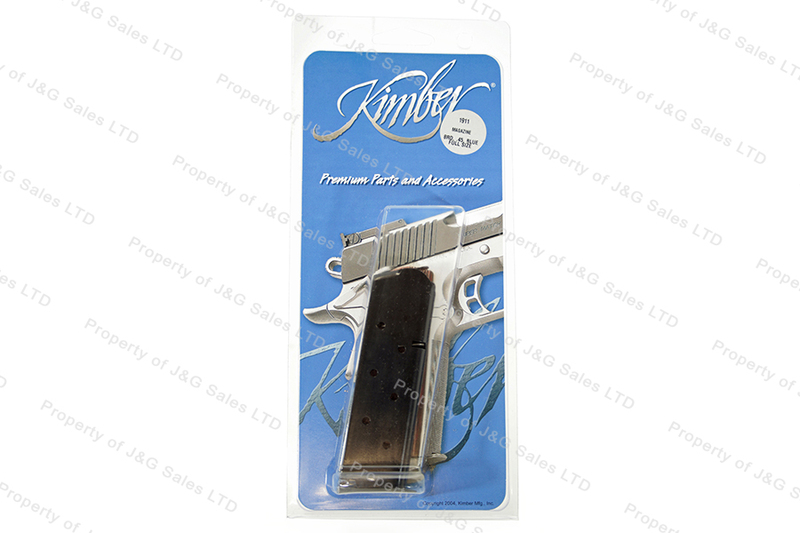 Kimber 1911 45ACP 8rd Factory Magazine, Blued, New. Initially, my Citadel m1911 didn't lock back on last round with that magazine, but perhaps due to a break in period, or better consistency with fully seating the magazine, this issue seems to be diminishing. If J&G has other thoughts on what magazines to use, their input would be appreciated. Currently using 2 ACT Mags, and 1 of these. The ACT Mags are developing dimples where the bullet tips bump into the magazine on recoil, which means the magazines are interfering with the well and require more and more effort to insert and remove. The Kimber seems to be have a thicker body so this dimpling is not present, but the follower leaves something to be desired.